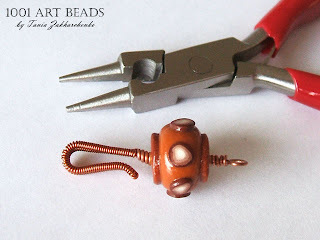 Make your own wire clasp for your handmade jewelry! Cut approx. 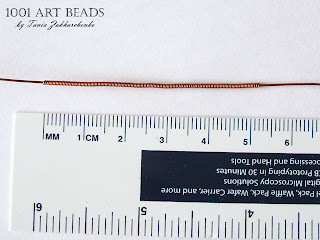 15 cm (6”) of 0.8 mm wire. 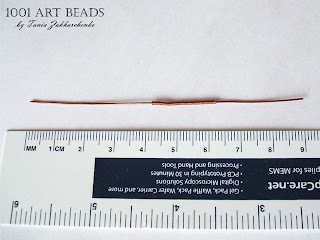 Wrap a segment of 52 mm (2”) of it with 0.4 mm wire. Bend the wire in the middle of the wrapped segment. Fasten the short end of the wire. 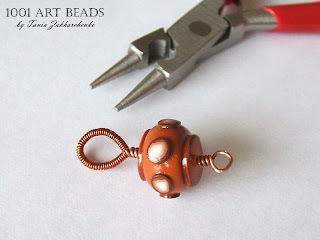 Put the bead and make a loop. For the other part of clasp cut approx. 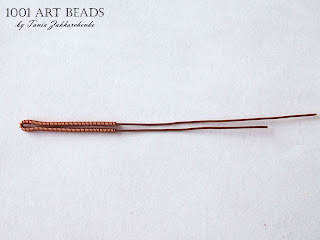 9 cm (3.5”) of wire and make a 20 mm (0.7”) wrapping segment. 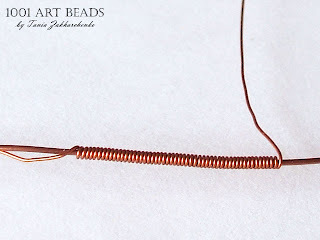 Make a ringlet out of the wrapped segment, put the bead and make a loop. The picture shows one way of using it. Great tutorial. Nice crisp clear photos. Well done. Wow, what a beautiful design. Thank you so much for taking time to really explain how to make a clasp. I love working with copper. Nice information posted here. One can also get the details of steel fibres for concrete at Precision Drawell. Thanks. My name is Tania. I was born in the Ukraine. Now my family and I reside in Spain. 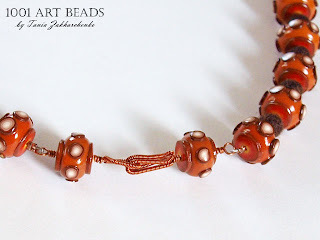 Beads and jewelry are the greatest passion of my life. 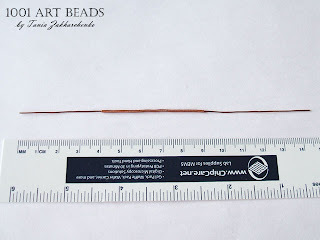 At the age of 8 I made my first necklace of beads. At the age of 14 I got to know of wire. I have been making jewelry for over 20 years. My rule is: "Elegant. Stylish. Unique." In works I rate most of all neatness and quality. 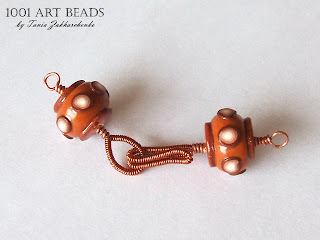 My favourite materials are: polymer clay, beads, wire, fabric, yarn, glass, stones, sea shells. 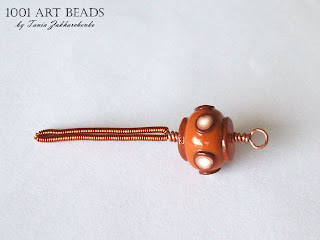 18 Methods to Clasp Necklace. (Part II). 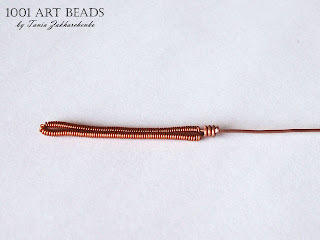 18 Methods to Clasp Necklace. (Part I). Today in my Etsy Shop: You can by it now!